Merry Christmas, friends! I hope your holidays have been filled with love and family and relaxation and delicious foods. I've basically been on a rotation of sleeping, reading, playing this game, and eating. We did our Italian, scaled down version of Feast of the Seven Fishes last night, and it was quite tasty. Lobster and clams are kind of a rarity in the midwest. 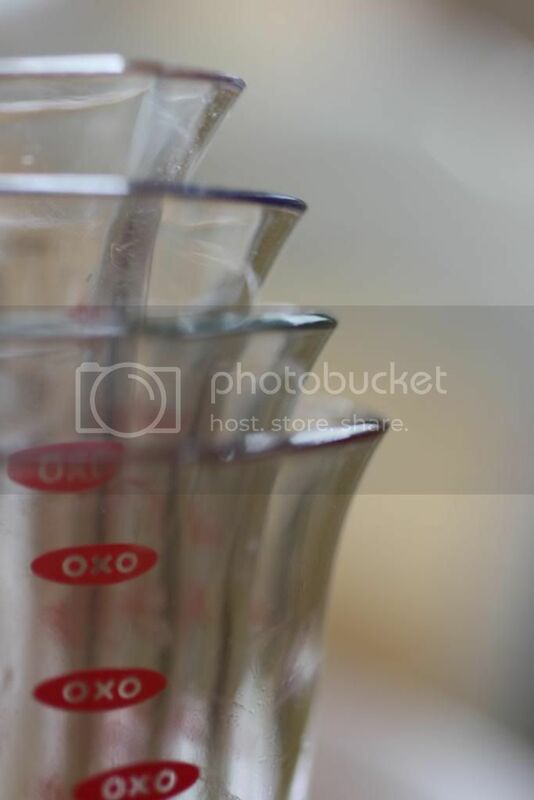 A while back OXO sent me some strange tiny measuring beakers for small amounts of liquids. I've been deliberating about how to use them for a while, and then remembered thatI've been wanting to make this super cute dessert called Zuccotto for a while. Zuccotto means little pumpkin in Italian, which is adorable, and it's traditionally a chilled, hemispherical dealie made with cake, ice cream, and brandy. The version I found used pound cake, chocolate, amaretto, and almond whipped cream, which is a is a little more my speed. The amaretto and almond extract were perfect in my measuring beakers, and made me feel like I was doing science things instead of just baking. It turned out beautiful, like a little, perfect cake igloo! D'aw. It was a little too boozy for my tastes, but delicious nonetheless. But I've gotta go. It's time to eat more food! And then maybe take a nap. Coat a large bowl (1 1/2 quarts) with cooking spray. Cover the cooking spray with plastic wrap and let the wrap hang over the edges. 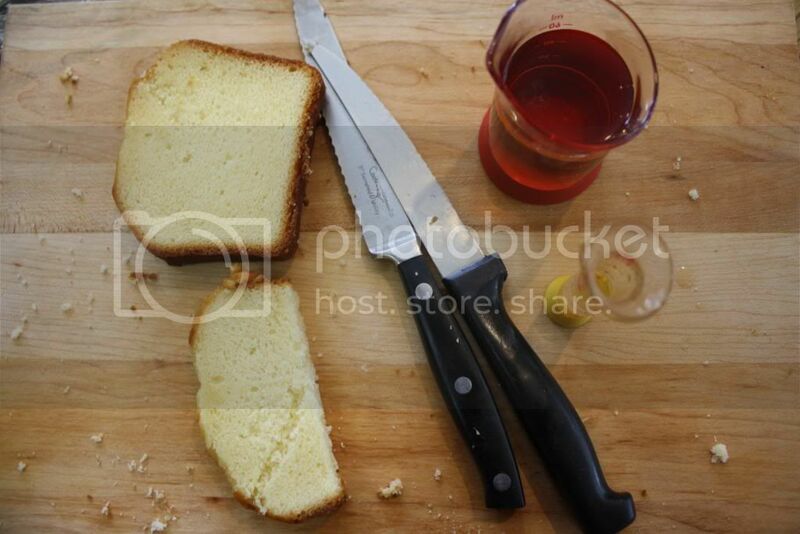 Slice the pound cake into thin slices, and cover the bowl with the pound cake. Save some slices for the top. Brush the cake with amaretto. Melt the chocolate over a double boiler. Let cool. Meanwhile, whip the heavy cream with the powdered sugar until thickened. Fold half of the cream into the chocolate mixture. 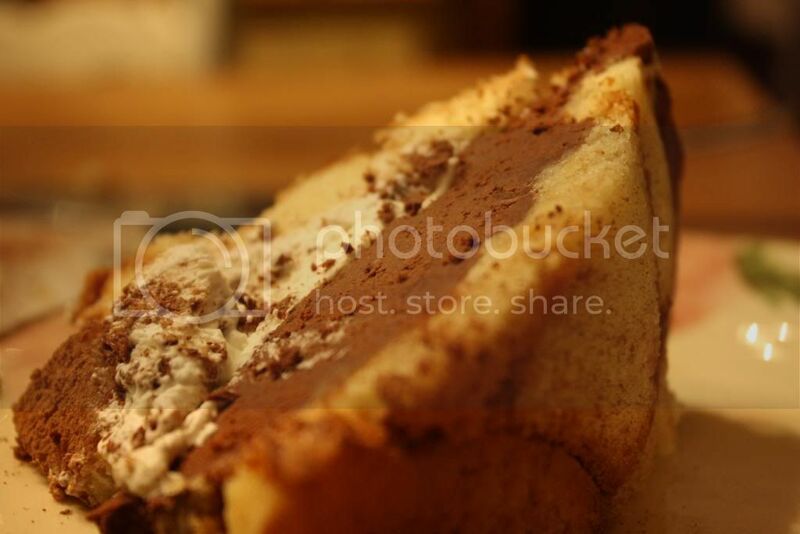 Spread the chocolate mixture on top of the pound cake. Add the sliced almonds and almond extract to the remaining whipped cream. Fold gently until combined. Add the almond whipped cream on top of the chocolate mixture. 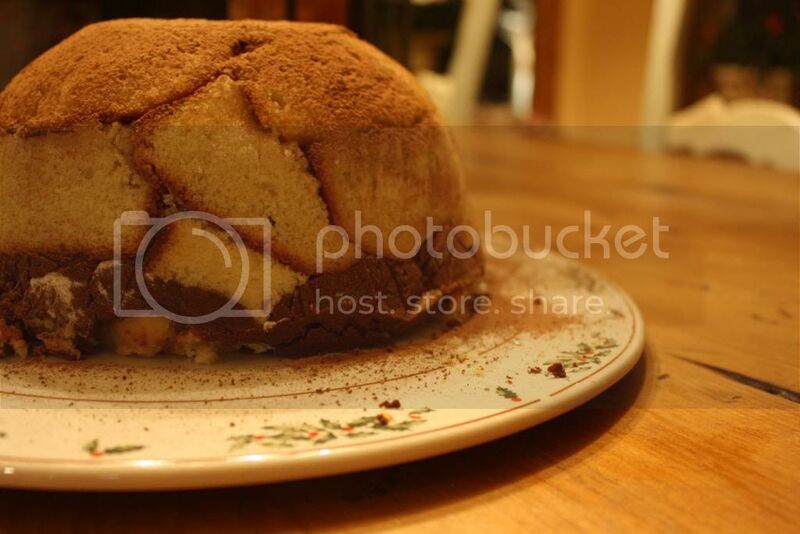 Cover the top of the zuccotto with the remaining pound cake slices. Chill for 3 hours, or overnight. Unmold onto a cake plate or platter. Dust with cocoa powder and slice. Oh heavens. There are few things I love more than chocolate+amaretto...I think I'm going to throw a party next week just to have a reason to make this. Yay! Food is always a good reason to throw a party.